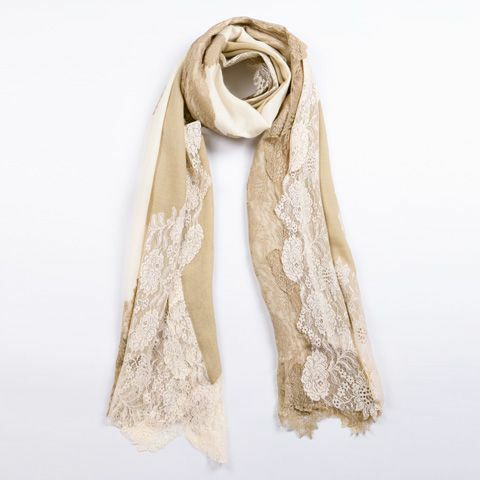 Light and airy yet warm and comforting, this scarf features delicate lace in a rose design design, with a contrasting ombre dye in warm beige and ivory tones. 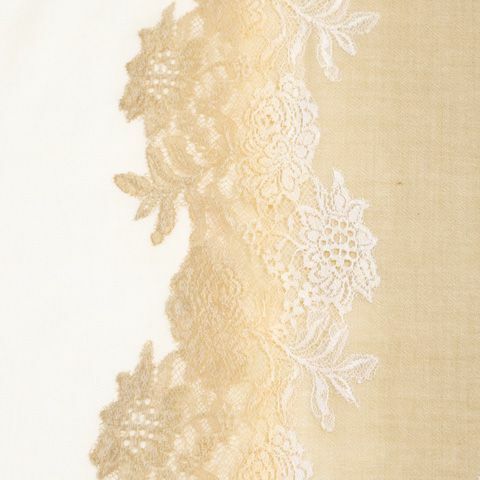 Stunning handwoven lace meets luxurious and soft pure wool and silk blend, produced by hand in India for a truly beautiful result. 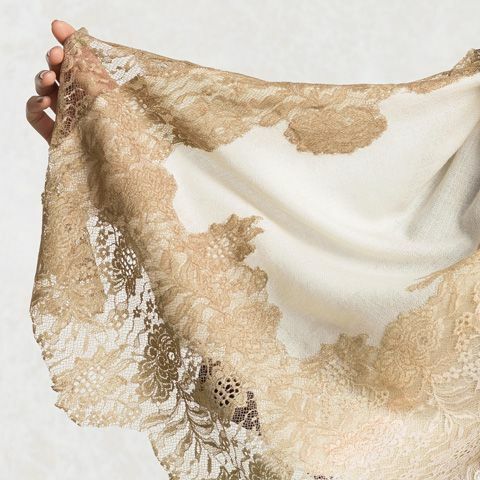 The lace and diamond weave scarf are hand dip-dyed separately before being painstakingly hand-sewn together.